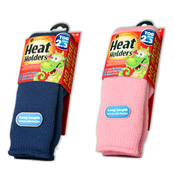 When temperatures fall, feet can be the first to suffer. The Last few winters we have been at the mercy of the coldest weather for years according to the U.K Met Office, proving that keeping feet warm is more vital than ever. 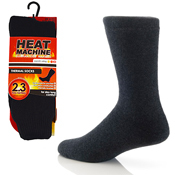 To be confident in the cold you need a sock with high insulation. Heat Holders have been tested to achieve a thermal tog rating of 2.34. Our unique 3 stage process using heavy bulk yarn, advanced knitting technology and intense brushing holds more warm air close to the skin, ensuring your feet stay warmer for longer.